Cornerstone Health Care is one of the fastest growing physician groups in the Southeast with more than 85 locations throughout central North Carolina. Cornerstone’s mission is to improve the quality of care for their patients, as well as improve patient experience with all of their providers. At FastMed Urgent Care, we have a similar mission: we strive to serve our communities and patients with a high level of quality personal care; we aim to maintain affordable and convenient urgent care; and we hope to establish our facilities as a family practice, as well as provide other specialty medical services. This shared commitment to our patients is why FastMed and Cornerstone have come together to offer the highest quality medical care when and where you need it most. With FastMed’s extended hours, Cornerstone patients have access to quality medical care even when their primary physician is unavailable. Having a physician who knows you is important. Cornerstone and FastMed will communicate and work together to ensure a smooth transition for every patient. Both FastMed and Cornerstone accept most major insurance plans. For patients who do not have a primary care physician, Cornerstone offers an extensive network of specialists and family care practices. Looking for Cornerstone Health Care near you? 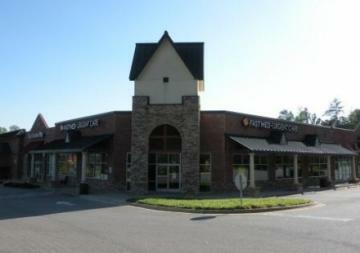 Click here for a list of Cornerstone locations and here for a list of FastMed locations. With FastMed and Cornerstone on your side, you will have everything you need to stay well, all year round. FastMed is a leader in offering medical care that is prompt, personal and available when you need it. “We believe that by improving access to care and partnering with our patients and their families to focus on prevention and chronic illness, we can simultaneously improve our patients’ health and their experiences with the health care system,” says Michael Ogden, MD, Chief Clinical Integration Officer. Click here to download a brochure to learn more.